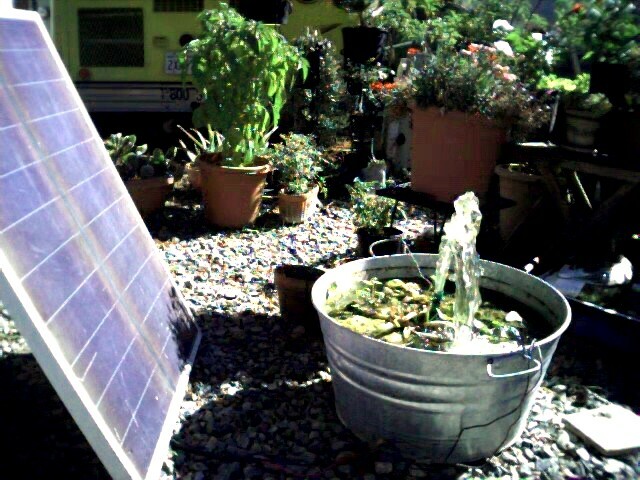 We have been powering small fountains with solar panels for over a decade and have found 12 volt pumps that move plenty of water for a fountain or small water fall. The pumps will pump all day while the sun shines aerating the water, creating soothing water sounds, and providing an attractive background for almost anywhere. We will supply the pump, the solar panel. and the wire. All you need is to have a pool, pond or puddle of water at least five or six inches deep and a short hose. Then you can enjoy your own water fountain while the sun shines. Have fun! Call: 1-800-397-5617 or E-mail thesunworksmg@aol.com for information concerning these systems or a customized system for your needs. 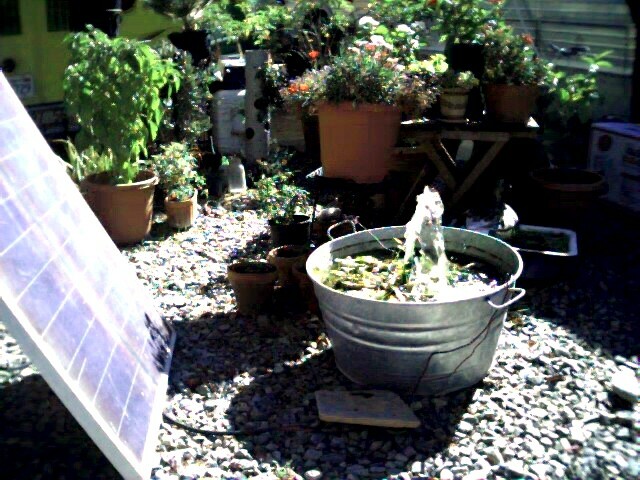 The image below is: Solar Fountain Kit #2 with the pump in a wash tub.